The $117m, 55MW Vales Point Solar Energy Project was greenlit by the Department of Planning today. The project is going to be built by Delta (who were bidding for the Liddell power station earlier this year) and will co-exist with the coal-fired power station at Vales Point power station. Work is slated to commence early in 2019 and the solar farm will be built over 80 hectares of a rehabilitated ash dam. “Delta recognises that both dispatchable power and low emission technologies have a role to play in supporting an affordable, reliable and sustainable national electricity grid” Mr Gurney said. The Vales Point solar projet is expected to create over 100 solar jobs over the 18 months it’ll take to complete and will run for a 25 year lifespan. This will also extend the lifespan of the adjacent Vales Point power station which will now operate past its technical closure date of 2029. “This innovative project is one of the first in Australia where large-scale renewable and coal-fired energy facilities sit side by side,” Mr Preshaw said. “With the exception of the coastal saltmarsh issue, it appears that the ‘baseline’ for impact assessment is reasonable, predictions of impact are robust with suitable sensitivity testing, the assessment considers how to avoid and minimise impacts, and the proposal includes all reasonably feasible mitigation options,” the submission said. Other than that it looks like everyone’s happy – it’ll be interesting to see how this works in unison with the coal-fired power plant and which one is more profitable! 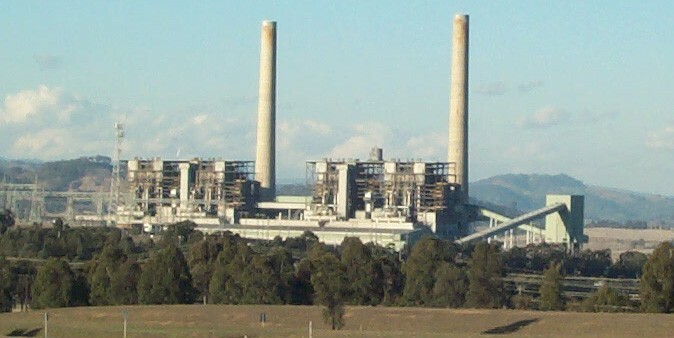 Two bidders for Liddell power station. Delta Electricity have entered the contest with Alinta Energy to buy the Liddell power station – a coal-fired, ageing plant that still pumps out 1680MW and is owned by AGL, who have advised that they’ll close it by 2022. Following the shutdown of the 1600MW Hazelwood coal-fired power plant last year, customers saw power shortages and a spike in power bills. The government is concerned that the same thing will happen if the Liddell power station is shut by 2022 – with PM Malcolm Turnbull directly telephoning AGL chairman Graeme Hunt this week to talk about the sale. “Would we be interested? If it was for sale we would definitely be interested in doing due diligence on it,” Mr Everett said. Everett and Delta already operate the Vales Point coal-fired generator in NSW and the company was previously owned by the NSW government. Everett has been quoted as saying there is a ‘reasonable’ chance of extending the life of the program past 2022. Alinta chief executive Jeff Dimery made a statement this morning confirming that their company are interested in Liddell, and if they sign a deal they aren’t going to apply for any government subsidies. Dimery advised that Alinta are willing to invest ~$1 billion AUD to buy the plant and extend its life by five to seven years. This would see the plant shutting down around 2027-2029 instead of 2022. “AGL is relying on Liddell to generate power for our customers until 2022 and we will require its infrastructure for our replacement plans into the future,” an AGL spokesman told Fairfax Media. “AGL received an approach from Alinta last night expressing an interest in entering negotiations to acquire the Liddell Power Station. No formal offer has been received. There’s no doubt that Australia are moving towards renewable, clean energy and this is a good thing. The transition, however, needs to be done in an intelligent way – it’s be great to be totally renewably powered as soon as possible but it’s going to be a patience game as the technology increases and we work on reliable baseload power while we invest as much in renewable energy generation as we can. Where will we be in 2022, RET wise? It’s hard to say. We’ll keep you updated with any news about the plant’s potential sale.